Great for networking this space occupies seven floors of a fully renovated and innovative building in the heart of Milan. These serviced and co-working offices, provide a professional and collaborative environment. There are cleaning services for your convenience, and IT support so that you remain connected throughout your occupancy. Within the immediate area, there are also lots of restaurants and cafes to visit during breaks or after work. Situated in the heart of Milan, and surrounded by many local amenities, this serviced office provides flexible business solutions for any duration. Fully equipped for the modern business world, each office space and meeting room is networked and cabled for high-speed Internet connection. Fourteen fully furnished, cabled offices available with individual air-conditioning, heating units, telephone facilities with voicemail and high-speed Internet connection. An impressive centre situated in central Milan, offering furnished offices on flexible terms at affordable rates. Amenities include 24-hour access, high-speed internet, meeting rooms and a stunning outdoor terrace area. The centre also offers a parking service and conferencing facilities. The local area is vibrant and thriving, with a wide range of local shops, restaurants, hotels and cultural landmarks. Tenants can enjoy several notable museums nearby, as well as plenty of transport connections to make travelling around the city convenient and easy. Set in a 15th century historical palace, this Business Centre is located in the heart of Milan, just 200 meters away from Piazza Duomo, the main square of the city. It has excellent transport links to the 2 main airports and it offers easy access to 2 underground lines and 2 main railway stations. The building retains its charm and atmosphere while offering the most advanced internet and communication technology. This stylish workspace solution offers fully-equipped offices and meeting rooms; innovative solutions for companies of any background. You will benefit from a business lounge, elegant furnishings, and an abundance of local amenities in the surrounding area. Within walking distance, there are many eateries, bars, leisure facilities and more. Nearby, you will also find the Piccolo Teatro Strehler, just one minute away. This outstanding building is located in the hearth of Milan, close to Piazza Duomo and the University, in an area rich of shops and bars. Recently refurbished, it offers unique working spaces. To remain well connected with both domestic and international colleagues, conference and videoconferencing facilities are provided. You can even take advantage of this site's complementary beverages, 24 hours a day! From restaurants to historical landmarks, there are plenty of public hotspots surrounding the building to enjoy during your breaks or after work. This comfortable and elegant business centre enjoys a great location in Milans Maciachini Business Park, within close proximity to lifestyle amenities, and within good distance of public transport links. Commutes to this site are simple and easy, and the surrounding area offers lots of local amenities to explore. Here, there is 24-hour access so you can work on your own terms and communicate with overseas contacts comfortably. These business premises occupy a new building in a lovely, quiet spot outside Milan. This is a highly sought-after location owing to its inspiring and motivating atmosphere. The open-plan spaces come with IT support for high connectivity, board room, conference facilities, lounge spaces and parking on-site for your convenience. There is 24-hour access and it is 23 minutes from Milan Malpensa International Airport; perfect for those anticipating frequent travel or have contacts across different time zones. This centre is located in a quiet out-of-town location, with Milan on your doorstep. This centre provides office space along with a selection of business support services to meet your needs, Surrounded by hotels, supermarkets and restaurants, this centre is also highly accessible. This centre is the ideal destination for forward-thinking companies that value convenience and efficiency, as well as those anticipating international clients or visiting executives. 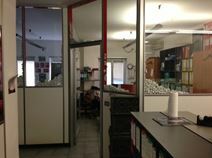 Located in the south-west of Milan with ideal access to Via Tortona and Via Savona fashion district, these serviced offices are located on the 6th floor with space available to suit between two and eight people. There are also two meeting rooms available that can fit up to 60 seats. Also found at this centre are indoor and outdoor private parking with 24/7 access thanks to a fully automated service. 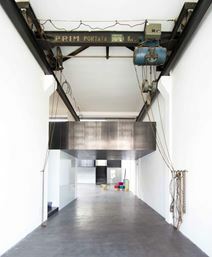 Previously an industrial oven factory, this space has been converted, and completely renovated in 2014, into a coworking loft that provides a great environment for freelancers and start-ups in a post-industrial Milan neighbourhood. This centre is accessible 24/7, with an abundance of local amenities within the immediate vicinity, providing all the mundane services you and your business could require. Recently refurbished at a high standard, this brand new Business Centre offers a unique combination of design and state-of-the-art technology. The Centre consists of offices provided with all the facilities needed to run a successful business: meeting and videoconference rooms, lounge area, security service, restaurant, secretarial and management services. The property is located in the heart of Milan, in the vicinity of the Duomo cathedral and just a few minutes’ away from the main railway station, which grants easy connection to the three airports. This business centre is situated in Piazza della Repubblica, close to bars and restaurants. Offering 18 offices, along with meeting rooms and concierge service available 24 hours a day. Offices come elegantly furnished with comfort cooling air conditioning and heating. Telephone lines and high speed WiFi connection will make sure you can continue work efficiently and effectively. To make sure your day goes as smoothly as possible there is an on-site management team to aid with secretarial tasks and support you with multilingual skills. This centre is ideal for companies anticipating international clients and visiting executives. It is also the perfect solution for companies that value convenience and efficiency, as it is served by an abundance of local amenities. his centre is located in Republic’s Square, it is one of the most prestigious address in Milan and it hosts some of Milan’s most evocative buildings and skyscrapers. Set in a secure building with 24 hour access the space is well suited for any kind of working needs, with private offices, turnkey furnished offices, a co-working space, a day-to-day meeting room and a Virtual Office solution. Getting to and from the centre is quick and easy with the nearest Train and Underground station being a short 3-minute walk away. This is a unique opportunity to rent offices located in a Royal Palace in the hearth of Milan. Surrounded by many important companies, the Building is situated in a key location, within easy reach of 3 railway stations and several bus and tram routes. The offices are of a modern high standard and offer a full range of facilities: secure parking area, large lounge area, bright terrace and cybercafé. Located just outside of the centre of Milan, this modern and sleek business centre is conveniently positioned, with plenty of local amenities and excellent access to public transport links. The location provides much more than comfortable office space, by allowing entrepreneurs to become a part of a dynamic business community. You can choose from private offices, co-working spaces and access to meeting rooms. This is a practical and funcitonal workspace solution with an ultra-convenient location. This new center is outstandingly located in a position to allow quick and easy access to the motorway network. The centre is just few minutes away from the San Siro stadium and is connected to several milestone points of interest such as the Arco della Pace or the Castello Sforzesco. The space also provides meeting rooms, open-plan offices, postage/mail handling and conference facilities. 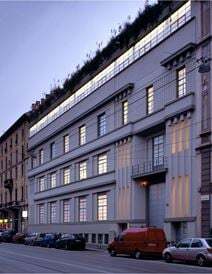 Located in the Bovisa district, just off Milan, this building is situated in a key area for the presence of one of the most important Italian universities, the Triennale - a museum and events venue dedicated to Contemporary Art - and other offices. The Centre is close to Ferrovie Nord railway station and is within easy reach of various bus routes. It offers offices, meeting rooms and large open spaces, all equipped with IT facilities; the Centre also offers recording studios for shots, recording and spots. The Centre is provided with several services, including multilingual front desk reception, switchboard, 24/7 access, CCTV, air conditioning, building insurance, cleaning and maintenance services. This brand new centre is located in the North of Milan, and offers a modern atmosphere within contemporary working spaces. Spread over 2 levels, it can accommodate up to 200 workstations. Its amenities include high speed fibre optic Wi-Fi, 24/7 access, a daily cleaning service, CCTV and security as well as private car parking. Your business can also benefit from administrative support and IT support to keep your operations running as efficiently as possible. This business centre is designed to allow companies to interact and develop synergies and new business values. Only 250m from Milan Central Station this centre has furnished offices over eight floors ranging from 10m² up to 1,500m² covering an entire floor. There is also a co-working area available in the basement providing hot and fixed desk stations. The closest tube station is Sondrio MM3 on the yellow line and is only 50m from the centre. Your business can benefit from 24/7 access with 24 hour security, so you can work under your conditions with peace of mind. The centre offers administrative and IT support to help your operations run efficiently and enhance your productivity. In addition, there are highly adaptable open-plan offices to suit your taste, as well as conference facilities where you can convene collaborative projects of any size. This multi-use business centre located between the towns of Assago and Rozzano is perfect for new start-ups and well-established enterprises. The centre offers offices, project offices and shared coworking spaces in a new and contemporary building. The offices have an abundance of natural light, with views of a beautiful parkland, to promote enthusiasm and keep you energised during your working day. Offering fantastic views of Milan and a great selection of flexible memberships, this modern business location offers private offices, co-working spaces and meeting room access. You can also benefit from this prestigious business address using affordable virtual office options. Offices come fully equipped and ready to use, with high speed internet. The centre is easily accessed with a great selection of public transport links. Centrally located in Milan, within walking distance of the Duomo cathedral, this Business Centre is surrounded by restaurants, hotels and shopping streets. The Centre offers several offices and meeting rooms, provided with fast internet connection and all the facilities needed to run a business, including security system, multilingual front-desk receptionists, switchboard, 24/7 access, CCTV, air conditioning, building insurance, cleaning and maintenance services. This space has the ideal location for companies with both local and international clients. Strategically located between Milan, Como and Varese and easily reachable from the airport and the motorway, this Business Centre has excellent transport links. The Centre consists of office spaces which can be customized in size to suit the needs of any business. The offices are fully furnished and provided with the latest telecommunication systems. Located 1.3km from Milan Central Station and 1km from Garibaldi, this business centre is perfectly situated for domestic and international business. The offices are furnished, cabled and are available over eight floors and have a minimum surface of 15m sq up to a whole floor of 550m sq. Services include internet connection, a telephone line, utilities, office cleaning and a concierge service, all of which are included in the monthly rent. On the 12th Floor, there is a co-working area in which fixed and hot desk workstations are at clients’ disposal, and on the 13th floor there is a Rooftop and event space to use at your disposal. An impressive centre offering both private office-spaces and co-working spaces, ideally located in the heart of Milan's bustling city-centre. Here, offices arrive fully furnished and are available to let on flexible terms. Amenities include; high-speed internet, spacious meeting rooms, outdoor terrace and 24-hour access. In addition, there are plenty of local amenities to be enjoyed outside of the office, with a wide range of restaurants, bars, retailers and hotels in the immediate vicinity. Transport is made easy with this centres close proximity to the Turati metro station as well. Opening its doors soon in the heart of Milan, this stunning business centre offers 9 dedicated floors of private offices and co-working spaces. The building offers endless amenities and great office solutions, including access to lounges, brainstorming rooms, private phone booths and 24 hour access to the building. Travel to the building is easy with metro lines 1 and 3 and the tram at Piazza Cavour. This elegant, well-designed building offers several offices and meeting rooms, provided with advanced IT technology, security system, multilingual front desk receptionists and a wide range of facilities which make this centre the perfect choice for dynamic and successful companies. Strategically located in Milan, this Business Centre is surrounded by luxury hotels, offices, historical palaces and museums. An impressive centre in central Milan, offering furnished office-spaces on flexible terms. Here, there are many amenities for tenants to enjoy including a stunning outdoor terrace, parking, meeting room access and high-speed WiFi. The centre is also open 24-hours a day, creating a flexible work environment that works for all tenants. The local area is complete with many culturally note-worthy attractions for entertaining clients, including several prestigious museums. Restaurants, bars, retailers and hotels are also abundant in the surrounding areas. This outstanding Building, located in the Italian largest operating business centre, offers a selection of modern offices equipped with a wide range of services. The building enjoys a key location, with excellent connections to all airports and the main motorway junctions. You will also benefit from 24/7 access to the centre so you can work through late hours, along with mail handling services and printing facilities. These contemporary offices come fully furnished and serviced, with a management team on hand to provide support with printing, reception services and post handling. There are a range of work spaces to choose from, including window offices, interior offices, office suites attached with meeting rooms and hot desking. Excellent transport links are present in the area, with busses passing through the area frequently. The centre also comes with 3 underground car parks. This premium and convenient business address provides floors of co-working and private offices, designed to suit you and your business needs. Spaces are designed with your comfort and productivity in mind, offering you professional and modern working solutions at an affordable rates and with flexible terms. Your membership includes a great range of services and amenities including refreshments, support from a friendly admin team and more. 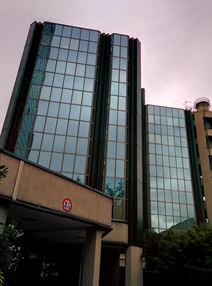 This office space in Milan is found in a prime location of Italy, located within the Bicocca business district. In this area you will find several banks, large corporations, as well as the University of Milan Bicocca. This complex is a newly refurbished building offering plenty of variety in work places. Elegantly furnished offices have an abundance of natural light with a productive and motivated atmosphere. Located in the centre of the city of Milan, this stylish modern building is close to many amenities including supermarkets and museums. This is a large, light and extremely quiet office facility, with a full range of business facilities available. There are hotels close by where your visiting clients can stay with quick access to the centre. There are also several restaurants, shops and cafes in walking distance. Surrounded by some of the biggest names in the fashion industry this building provides stunning views of some of Milan"s oldest buildings. It is within walking distance of two underground stations and close to the financial district. Services here include unlimited high-speed internet to keep you connected, as well as videoconferencing so you can easily convene meetings with international clients. This stunning 8 storey building offers a fantastic range of premium and professional work spaces for professionals, in the heart of Milan. Offices are affordable and flexible, with the option of month-to-month membership options. Offices are fully equipped and furnished, with state of the art technology and beautiful artworks. You can also use bright and spacious lounges, and access meeting rooms. The centre provides support from a friendly team, high speed internet, refreshments and more. Situated in the historical centre of Milan, this Business Centre is within walking distance of Piazza Duomo and Via Monte Napoleone, the most elegant and fashion street of the city. The building has been recently renovated and is equipped with the latest technology systems and facilities, as well as support services from administrative support to reception services. It is well served by public transport and well connected to Linate Airport. Close by, there is an events venue where you can host conferences, conventions and networking events. Located on one of the most prestigious streets in Milan, at the heart of the Italy’s fashion district this historical building is home to a range of modern and fully furnished office spaces and meeting rooms. The business address at the centre can also be used as a Registered Office or Company Domicile and can be combined with the mail handling and telephone secretarial services. Conveniently just three stops from the Central Station, commutes to this centre are quick and easy from any point in the city. A modern co-working space in Milan's eastern district, providing a range of furnished offices available to let on flexible terms. Tenants can make use of the high-speed internet, business lounge access and spacious meeting rooms. Work-spaces also benefit from plenty of natural light throughout the day. The local area is well connected via public transport options, and the surrounding areas provide lots of options for amenities including local restaurants, bars, hotels and retailers. 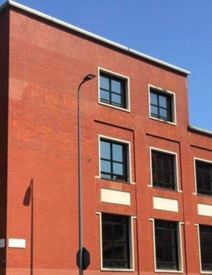 Just behind Cadorna Station this imposing brick building is within walking distance of the Duomo and provides a range of offices of various size with large windows to provide a light and bright working environment. 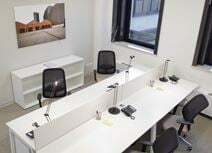 Spacious breakout areas also available.There is IT support on-site to ensure your business stays well connected at all times. In addition, there are reception services so your guests and clients are greeted in a friendly, professional manner. The tranquil Brera Botanical Garden is just 10 minutes away from the centre. An impressive centre situated in central Milan, offering furnished office-spaces available to let on flexible terms. Here, tenants can make use of a wide range of services including high-speed internet, on-site parking, spacious meeting rooms and a stunning exterior terrace. In addition, transport to and from the building is extremely easy with convenient metro and rail links nearby. Local amenities can also be found in abundance in the immediate vicinity. Set in a historical palace, this Business Centre offers elegant offices equipped with modern facilities, meeting rooms and a wide range of services: advanced IT and virtual office services, secretarial, reception and translation services, parking facilities, gym and beauty centre. The building is suited for professionals as well as small companies. Centrally located in Milan, and served by public transport, it is surrounded by shops, café and restaurants, close to museums and important sites of the city. With a great selection of bright and spacious offices, this building is located in the thriving neighbourhood of Milano Due. The building offers private offices, co-working spaces and meeting room access. You can also benefit from this premium and prestigious address using affordable and flexible virtual office options. The business centre also offers high speed internet connectivity, administrative support staff on-site and more. This business centre, situated in one of the worlds leading fashion capitals, boasts excellent transport links, including the airport, and enjoys a thriving cultural and commercial setting. Famous landmarks within reach include the Duomo di Milano, the fifth largest cathedral in the world. There are hotels, bars and restaurants close at hand for when you need a well-earned break, and the city centre itself, which includes the Italian Stock Exchange, Borsa Italiana, is not far away. This Centre offers modern and colourful meeting rooms and fully furnished offices of various sizes. It is provided with a full range of services and facilities, including multilingual front desk reception, switchboard, 24/7 access, CCTV, air conditioning, building insurance, cleaning and maintenance services. Close to the main railway station of Milan -Stazione Centrale- this Centre has excellent transport links and is surrounded by offices, luxury hotels, restaurants and historical buildings. This centre located in the Segreen Business Park provides a range of office spaces designed to meet your business needs. Being located in this business park will bring you closer to some prestigious and prominent global corporations, providing you with endless networking opportunities for expanding your business contacts. Sustainable renovation and a lively pedestrianised piazza makes this location highly attractive. Not only will you be a part of a contemporary and efficient working space, you will also join a community of like-minded successful entrepreneurs. Located in a palace built in the 60s, this Business Centre enjoys high standard design and top quality infrastructures. It is centrally located in Milan, served by excellent public transport links and a wide selection of restaurants, bars, hotels and other amenities. The key location and the high standard of the building, together with the modern technology facilities and the top quality furnitures, make these offices the ideal choice for companies looking for a professional and vibrant environment. Situated in the north area of Milan, this building is set in a key location, close to Malpensa airport and easily accessible by public transport and through the motorway. It is also 30 minutes from Malpensa airport It is provided with a wide range of facilities: bright lounge area, videoconferencing studio and parking area. This centre offers an abundance of support services in addition to its quality facilities provided. Providing fully furnished office space from a prestigious location in the heart of Milan and just moments from the Fiera Milano conference center, this business center is ideal for any company but particularly those in fashion or finance and those who need a location perfect for entertaining guests. Furthermore, the center has fantastic on-site facilities, including meeting rooms in which you can convene collaborative seminars, and a business lounge, ideal for networking with other professionals who also reside within the building. Set in a historical building in the heart of Milan, this prestigious centre offers a fantastic view of the Duomo cathedral and the city. The Centre consists of bright meeting rooms and grants a wide range of facilities. It is within easy reach of various public transport links and it is excellently connected to Linate International Airport. This cultured community enjoys many museums and galleries, and your company can surely benefit from this popular area's high footfall. This building is located in a strategic position within the vibrant Via Tortona, right at the heart of Southern Milan's fashion and design district. On the first floor, there is a relaxed lounge area for informal meetings, as well as an impressive meeting room that can sit 4-6 people. You can also benefit from 24 hour access and an on-site reception team. Whether you're looking to grab a coffee and cake or sit down to a nice meal with a client there is something within the surrounding area to suit all needs. The workspace and conference rooms of this attractive business address is ideal for companies who seek an adaptable coworking solution. It is at a a perfect location, particularly during fashion week and other peak times. The offices are fully furnished and on flexible terms. This centre is rare of its kind since the Tortona district is recognised worldwide as the symbol of design and fashion in Milan, but office space is often unavailable. The centre offers a range of working spaces, ranging from office suites and coworking spaces to virtual office options. Working spaces have an abundance of natural light to promote productivity and keep you energised. You can enjoy one of many communal spaces including kitchens and break lounges. A friendly and professional administration team provides administrative and secretarial support to ensure your day runs as smoothly as possible. 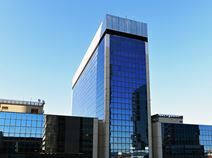 Situated in a key location, just 15 minutes’ away from the heart of Milan, this Business Centre consists of elegant and fully furnished offices, meeting rooms, conference rooms, parking area and a wide range of services: multilingual front desk reception, switchboard, 24/7 access, CCTV, air conditioning, building insurance, cleaning and maintenance services. The Centre is well served by the underground and other public transports and is within easy reach of the motorway. This brand new co-working space in Via Valla offers a contemporary and spacious working area. Immediately available, these offices come fully furnished and designed in a stylish manner. The centre promotes a creative, productive and friendly environment, allowing you to work efficiently and effectively, whilst expanding your networking contacts. The Navigli neighbourhood is only 10 minutes away, where you will find plenty of shops, excellent restaurants offering local cuisine and plenty of art studios and galleries. The Green Line underground is only a 5-minute walk away. At this sensational centre, you’re supported by a friendly on-site admin team who can assist with any queries you may have, as well as professional reception services to greet your clients. The space is accessible 24/7 so you can also work through any hour you desire! The site's surrounding areas offer many local cafes, bars, restaurants and local attractions for you to check out on a lunch time or on an evening with clients. This impressive property offers a selection of offices of difference size, all fully furnished and provided with a wide range of facilities, including multilingual secretarial staff. The building is provided with parking facilities within walking distance of the premises. Set in a central location, it is easy to reach by car and public transport and offers excellent connection links to the airports. New business centre opening soon in the heart of Milan. Found within a 5-minute walk of central station with buses passing through the area frequently. Surrounding area offers plenty of amenities. The centre offers inspiring and innovative office solutions for teams of any size, and facilities also include a roof terrace, on-site cafe, outdoor space to relax, a lounge and library. The centre also offers a digital support networking consisting of web marketing, software support and IT support. Located in Cinisello Balsamo, just a few Km away from Milan, this Business Centre offers offices of different size, suited to any type of business. The Centre is fully furnished, internet and telephone wired and provided with a wide range of services and facilities: parking area, warehouse, multilingual front desk reception, switchboard, 24/7 access, CCTV, air conditioning, building insurance, cleaning and maintenance services. The Centre is well served by public transport, 5 minutes’ away from Sesto San GIovanni railway station and is surrounded by malls, shops and restaurants. Offering modern and contemporary working spaces in the heart of Milan, this working spaces provides professionals with a vibrant atmosphere and refreshing working environment. With a selection of flexible memberships and a range of working spaces you are guaranteed to find something you like. The building offers private offices, coworking areas, meeting rooms and conferencing rooms. The centre is easily accessed using public transport options. This location is ideal if you want to explore cultural highlights of the city, including the amazing Duomo Di Milano. The business centre is also close to hotels, supermarkets and shopping centres. A range of office spaces is available, as well as a great selection of business support services. This furnished, tunkey solution also provides copy and printing facilities. There’s plenty of parking, while nearby restaurants offer delicious Milanese cuisine. This traditional corporate building offers fully furnished executive suites and open-plan office space as well as co-working areas on the outskirts of Milan and provides quick and easy access to the airport as well as being only 20 minutes from the centre of the city. There are great on-site facilities including parking and meeting rooms. In addition, you can benefit from the centre's 24 hour access, so you can work through late hours. This centre is ideal for companies with international clients, and may be required to collaborate across different time zones. This workspace located in the heart of Milan offers serviced office in a private and comfortable environment making it a great place to work. You have access to the building 24 hours a day making to suitable for any kind of working environment. If you meet with clients often you can easily book one of the on-site meeting rooms. If you're looking to host something a little larger why not take a look at the event space! The nearest metro station is situated only one-minute from the centre and buses also pass through frequently. Within walking distance you'll also find many local attractions to keep you busy during your lunch or with clients on an evening.